the pencil art gallery can have more art works of children and adults art as well. 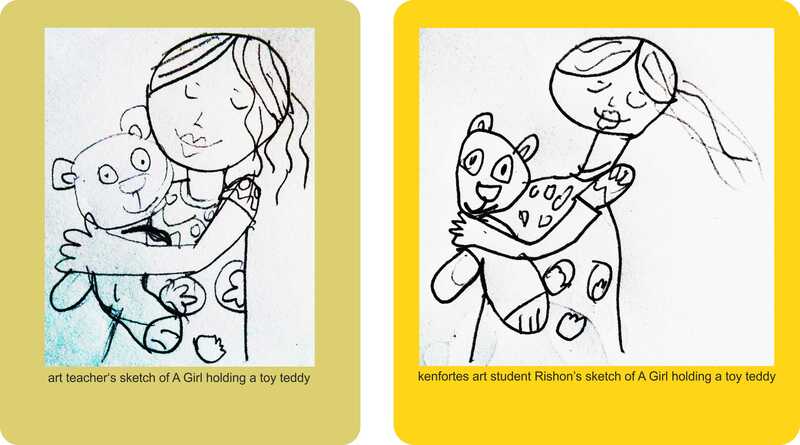 Rishon – I like the fact that you have captured the emotion of the girl as well as the teddy. You can improve on getting the picture more rounded. Good try!